The Northern Circuit in Tongariro National Park is included in the collection of Great Walks of New Zealand . 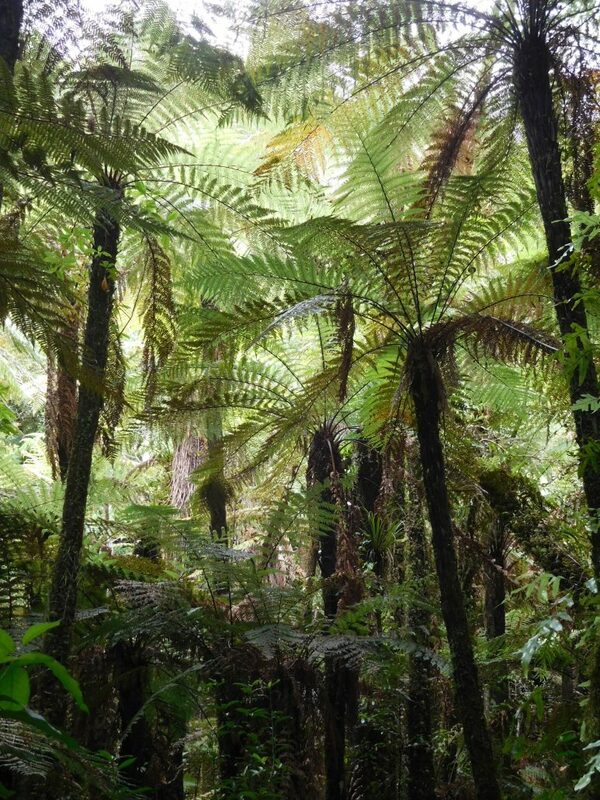 There are what is considered to be 9 of New Zealand’s premier tramping tracks, passing through areas of some of the best scenery in the country, ranging from coastlines with beaches to dense rain forests and alpine terrain. The tracks are maintained by Department of Conservation, making it easier to explore the Northern Circuit and some of the other most scenic parts of New Zealand’s back country. The Tongariro Northern Circuit, a 43km (3-4 day) loop track that circumnavigates Mt Ngauruhoe, part of this track incorporates the Tongariro Alpine Crossing, which in its own right is considered to be the best one day walk in New Zealand and one of the best in the world. There are many other popular walks in and around Tongariro National Park among which include the popluar Tama Lakes, Taranaki Falls, Meads Wall, Ohinetonga Track, Silica Rapids and Tupapakurua Falls Track. And of course any of the mountains, Mt Ruapehu, Mt Ngauruhoe, Mt Tongariro are a great days climb in the summer and can be conquered in the winter with the assistance of a guide. The ski season usually kicks off in June each year and the ski fields of Mt Ruapehu, Whakapapa and Turoa attract skiers and snowboarders from all over New Zealand as well as visitors from abroad. 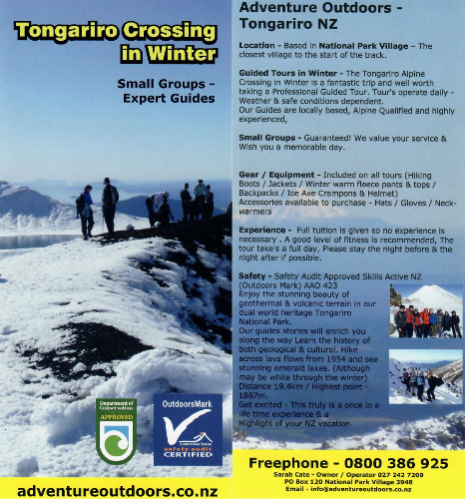 There are a vast number of other activities for which the Tongariro National Park is popular, here is a list of some of the most popular activities that you may like to consider. If you wish to add to your hiking experience, summer or winter, going with a guide is the way to go. You can proceed with greater confidence and be safe in the knowledge that you have been fully prepared with the correct knowledge and equipment to make the most of your experience. For quality guides we recommend Adventure Outdoors who are also recommended by Department of Conservation and are OutdoorsMark safety audit certified. If you have organised an activity through a company, in most cases they will have either a central meeting point that you can drive to or will have a transport service that compliments their activity. Check this when you make your booking with them. 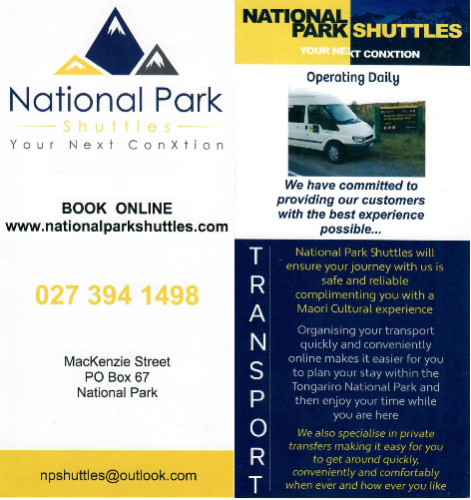 For all other situations where you need a transport service eg the Tongariro Alpine Crossing, we recommend contacting National Park Shuttles, you can rely on their friendly, informative and flexible service.